Last Tuesday the 16th of July, schoolchildren from a government school in Bihar complained that the midday meal they were served by the school tasted bad. They ate it anyway, because they were hungry, and could not be sure that they would get another opportunity to eat that day. The food was filled with concentrated pesticides. 23 children died and even more fell ill. This happened because of the complete lack of oversight and accountability in the implementation of the Mid Day Meal Scheme (MDMS), for which the state government is to be blamed. In addition to this failure, more children died because of the lack of available antidotes at health clinics. The government’s indifferent attitude towards the basic rights of its people has created the horrifying paradox that children have no choice but to risk dying from eating in a starving country. As a consequence the Bihar state government must go. In making this conclusion, it is important to remember that the MDMS is not a charity. It is an essential part of the implementation of the right to food. The Supreme Court has ruled that the right to life with human dignity, including the right to food and other basic necessities, is a fundamental right which the government carries the main duty to respect, protect and fulfil. The Supreme Court has ordered that the national government and the state governments provide cooked midday meals in all schools so that children will not starve and die in a country that has enough food. Even though the MDMS is a national scheme, it is the states that are responsible of implementing it. The Supreme Court Commissioners, who are appointed by the court to monitor the compliance of its orders, said in their 11th report on the status of implementation of right to food in Bihar (full report here), that there were severe problems regarding the implementation of the MDMS in Bihar. First, most schools did not serve a meal regularly because of problems with the flow of funds and supply of grains. Second, the quality of the food was generally poor. For example, the quality of rice was very different from school to school and was generally below standard. Third, teachers and government officials’ knowledge of the MDMS was poor and their attitude towards the programme indifferent. The report states that community participation was completely absent. Fourth, the facilities were very poor. Most schools did not have sufficient cooking utensils, and half of the schools did not have kitchen sheds. Water facility was below standard in all schools. Hand washing facilities did only exist in half of the schools, and the maintenance of toilets was poor. Most schools did not have any plates for the kids to eat from. The report recommended improved financing, systematic oversight and monitoring, and improvements of the distribution system to ensure the quality and safety of the food. The recommendations of the report have not been followed, and it is therefore no surprise that children have died as a direct consequence. It is a disaster which was bound to happen. In this light the Bihar state government’s attempt to frame the deaths as an unfortunate accident can only be viewed as contempt for its own people. It cannot be called an accident when the government could have prevented it, and when it happens all the time. For example, the day after a further 50 students fell ill in another Bihar government school after eating the midday meal. P. K. Shahi, minister of human resource development in Bihar pursued another blame avoiding tactic in an interview by attempting to put the blame on local corruption: “It is a very daunting task to provide freshly cooked quality meals in 73,000 schools. Many are involved in managing the food programs, including teachers, village elders and state officials. All these people look for easy money, and there is very little scope of making money without compromising the quality and quantity. It is just not possible to taste meals in all the 73,000 schools before children eat the food.” Mr. Shahi and the rest of the government seem to think that preventing corruption and ensuring quality in government services is not the responsibility of the government. This is an absurd proposition. The government has created a system without any form of oversight and accountability despite the Supreme Court directly telling it to do otherwise. Besides trying to avoid the blame, the government has only made three initiatives. The first one was to promptly promise a small compensation to the victim families. This compensation was offered when the ill children did not yet receive adequate health care, and the only purpose of this thus seems to be to improve the public attitude towards the government. The second initiative was to issue a directive in local newspapers that every headteacher has to taste the food before serving for the children. This clearly shows the lack of seriousness of the government. The idea of the midday meal is to provide nutrition to the children because the state has failed to secure opportunities for a decent livelihood for their parents. The food should therefore be scientifically tested to ensure the safety and nutritional value of the food. Making teachers taste the food first is missing the point completely, as the food can still be both dangerous and of bad quality without any proper test. It will also not improve accountability since this directive is impossible to enforce. Last, the government plans to make it mandatory to paint the safety norms on the school walls. Of course, this will not eradicate the real problem. None of these initiatives will prevent future incidents. The lack of any serious action on behalf of the government speaks volume about its attitude towards the right of its people and the MDMS. What is required is prevention of corruption and quality maintenance of government services. The death of 23 children is an enormous tragedy in itself, but the damage done to the reputation of the MDMS might turn out to be even worse. As described by Shweta Sharma, a Jharkhand teacher, in her passionate account of her experiences with the MDMS, the school meal is often the only opportunity to get a meal for these children, and many parents would not send their children to school, if it were not for the midday meal. Now reports say that the children are refusing to eat the food, and teachers are beaten by students as lawlessness prevails. One can only guess at the number of parents who will not send their children to school in the future, and thus take the only opportunity that these children have. When the MDMS works with proper implementation it is very effective. Studies show that for a cost of only 3 cents per school child per school day, the programme can reduce protein deficiency by 100% and thus play a crucial role in the implementation of the right to food and also improve school attendance and effectiveness through the reduction of malnutrition. Bihar cannot achieve any goal of relieving hunger if the government continuous to view the right to food as some kind of charity, that people should be grateful to receive. The very purpose of the government is to ensure the rights of its people including the right to a life in dignity. To have no choice but to risk dying from eating in a starving country because of the government’s indifference is a grave violation of this right. The government has failed its most basic duty. It should admit this failure and resign. About the author: Mr. Simon Jakobsen is a student at Aarhus University and currently interning at the AHRC. 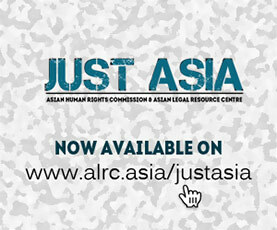 The author can be contacted at simon.jakobsen@ahrc.asia.